I've been looking forward to Wren's story for awhile now. I love her character and I love elves - so it was a great combo. Her quest to find the long lost elves takes quite a few twists and turns until she finds her lucky break - the hag that finally has many of the answers she's looking for, but it only gets more dangerous and exciting from there. 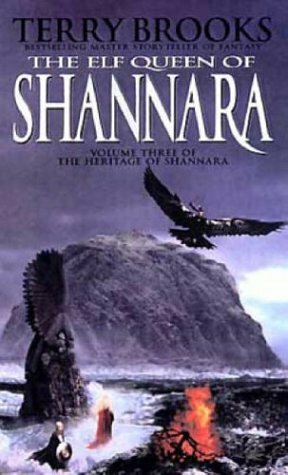 When she finds the island the elves have retreated to, it isn't anything she expected. 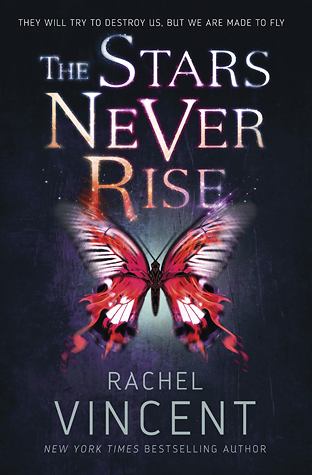 Taken over by demons, she is forced to discover some very hard truths to find her way there safely. She meets some really great creatures along the way and I loved learning about them and what they were and how they came about being there. Each has it's only very important part to play in her quest - even if their parts aren't entirely clear at first. The elves themselves have quite a few secrets to hide - none of which are good. 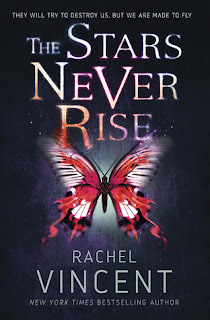 As Wren discovers the truth of why they left and what they have done since, she's faced with a crisis of conscience about helping them return to their old world. Brilliantly written, I was on the edge of my seat as it all unfolded. There's a lot of great epic moments of heroism from just about every person in the story. Terry Brooks isn't afraid to let Wren's friends steal the spotlight for their moment in the sun and a chance to save the day. There were some sad moments and a few of the characters I've grown to love do not make it through the book - but that only made me love those characters even more. Again, the only downfall was that I wish I could see what the other main characters from the previous books were up to while Wren was on her quest. We get bits and pieces, but I feel like their stories could have been merged a bit more so they weren't "forgotten" when their story wasn't being told. This isn't your typical divorce story. 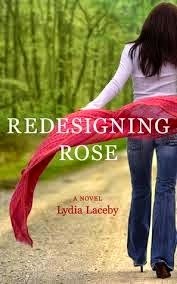 Instead of being devoted to dissecting the relationship, it's devoted to watching Rose blossom and grow on her own as she "redesigns" her life after finding out her husband's horrible secret. Somewhere along the line, Rose has lost who she is. Watching her find out what makes her tick again was great. This wasn't all sunny though. There were a lot of struggles, some deep soul searching accompanied by tears, and new friends that need to find their direction as well. Rose builds some amazing new relationships and gains old ones back again. This was not a depressing or woe is me style story. But a story of a woman taking her life back and learning to love it again. Second son and sometime adventurer, Tobias Seybourne has never left an opportunity unexplored. He’s won the favor of the king and is aiming for knighthood when Abbot Whiting offers him the chance of a lifetime—partner with Audrey, and protect England’s greatest legend. Most importantly? Do it without ever giving the king a reason to suspect more devious purposes simmer beneath Tobias’s charming façade. Most of us know the legend of King Author and Guinevere. It's a myth that people love to hear as a bringer of hope and goodness. But whatever happened to them when they died? Well, there are lots of rumors and some think they may have found their remains. But this is a story of why they are so well hidden. Going back to the end of the Tudors and Henry VIII, we watch as the Catholic churches are dismantle one by one, their relics and belongings either looted or taken by the throne for the use of the country. One church is left standing, and it holds the relic of Author's remains. The build up to the church falling is incredible. You can feel the dread and the despair as time grows short. 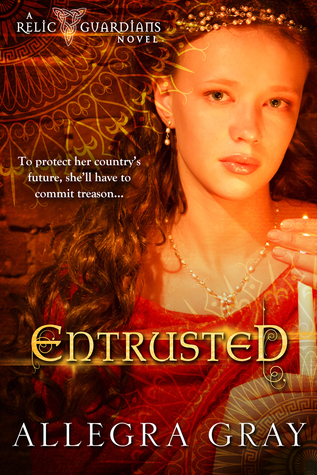 Conspiracy theories abound in this novel and as Audry Thorndale is tasked with the incredible burden and honor of hiding the remains from the English king. As she prepares her life for this huge change, she finds out a lot about herself and the people around her. Heroes emerge where they are least expected, but she never really knows who she can trust. There's a bit of romance, a lot of intrigue, and good dose of history and legend. Such a great story. I really want to see what happens next. Webs of Power is a raw, unsentimental portrayal of greed, manipulation, and relationships set in the excessive, insatiable retail industry of the 1980s. When a hostile takeover of the retail giant Consolidated is announced, the lives of three determined women, each linked to the corporate upheaval, are unexpectedly thrown off course: Paige Toddman's marriage to Consolidated's West Coast Division CEO is threatened when she decides to step out of her fast-paced lifestyle to raise the unwanted child she is carrying, a choice driven by her secret past. The fabric of Ashleigh McDowell's life begins to fray when her fiance, the president of Consolidated's West Coast Division, moves away and her father figure faces a lawsuit that could wipe out his controlling shares of the company's stock. Vain and power hungry, Viviana De Mornay will stop at nothing to become the wife of the man leading the takeover. 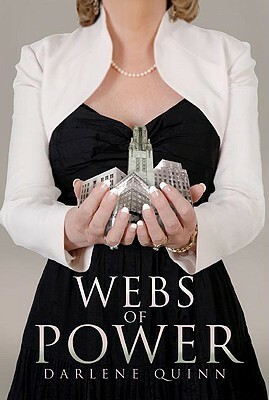 Webs of Power is a thrilling real-world drama with dynamic characters who find the courage to drastically reshape their lives in the face of crises and the twists of fate. First off, if you read this book you will need a good chunk of knowledge about leveraged buy-outs, hostile take-overs, and how the retail business works at the top levels of management. I had a little, but apparently not enough. I didn't always follow the business side of this corporate drama, and that means I didn't follow a good chunk of the main plot. It was a shame, because it was a very well written story with some larger than life characters. The characters, well, they may have been larger than life, but there were soooo many. They were hard to keep track of because not everyone called them by the same name. We had first names sometimes, and last names only other times, and occasionally a nickname thrown in. I had a very hard time keeping track of who was involved in what part of the business dealings. I had no problem keeping their personal lives straight though. And those personal lives are what saved the book for me. While most of them held the illusion of a perfect life, we found that not everything was roses. There was some personal drama and even a bit of crime drama wrapped up nicely all together. There was just a little too much business lingo for me to really get into it. It seemed to be great look into some of the major business issues that plagued the 90's in the US and people who are a tad more business savvy than I will really enjoy this one. Holy cow! This story line takes zombies, demons, and the church to a whole new level. Nina and Mellie are a bit of a mess. They try to blend in the best they can so the church doesn't notice them and punish them for one of many many sins. These aren't your typical sins - we're talking about curiosity and asking questions being major sins. And the punishments aren't pleasant. But Mellie really messes up one day, and suddenly all eyes are on their family. Their family that is living in "sin". But that's not the only thing. Suddenly Nina is capable of doing strange things and demon-infested husks of people are trying to track her down. There definitely isn't a lack of action in this one. The church plays a super important role in this story - and it isn't a typical church. The church is the government and rule with a iron fist. there may be a group willing to help, but first Nina has to survive on the run from all the powers that be. One of the most unique world concepts I've seen in awhile. Pulling together a multitude of lore and weaving it seamlessly together to form something that you can't get enough of. There is a slight cliffhanger for an ending. Most of the ties are wrapped up, but there is one big one that will leave you hanging. 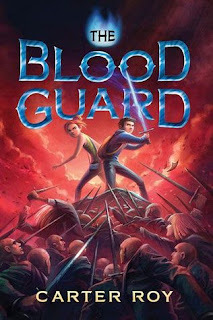 This was a really cute Middle Grade urban fantasy with lots of action. Ronan is an unusual kid - mostly his mother's fault for enrolling him in all sorts of crazy extra-curricular activities. But when he ends up on the run from guys that really don't seem all that nice, he begins to realize that she had him learn all those odd things for a reason. I really enjoyed the premise behind the Pure and the evil group Bend Sinister. The lore behind them was very well thought out and really added a cool element to the story. While figuring out who was the Pure was a little easy, I loved watching the Ronan's reaction when he found out. A lot of the action was very James Bond-ish. It was very exciting and over the top in a fantastic way. From adventures on trains to underground secret hide outs, Blood Guard had just enough of everything. 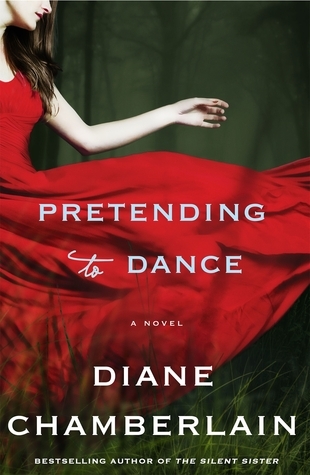 Pretending to Dance was an amazing story. Taking place during two pivotal times in Molly's life, we uncover her past as she tries to come to terms with it in her future. The summer of Molly 14th year was the one that changed her life forever. Molly experienced so many changes in her life that year that stay with her for the rest of her life. It was a summer full of fun and tragedy, and it haunts her still. This summer is beautifully told and at times it seems like such a magical time of discovery for her. In the present, Molly has lied about her past and her family to everyone. As she gets ready to adopt a child, she begins to re-visit her past more and more, terrified that it will somehow come out and ruin her chances. Her struggle with this is very real. As the adoption itself begins to falter, she goes into a downward spiral both mentally and physically.I learned so much about open adoption, the pitfalls and the joys. It is such a different process than I had ever imagined. Her present and past come to a head when she is forced to face her past and address what happened there. While she finds a little of what she expected, things weren't quite as she had thought. And so much has changed since then that it's almost unrecognizable. This was a beautiful story of a family's love and the things a family may be willing to do to help the children. I think this is a must read for readers of all sorts. There are so many very special elements that you will find a way to connect to the characters and their lives.